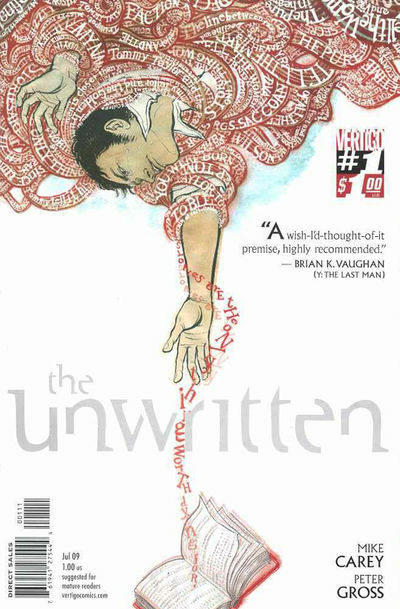 Uh, no art to post today (soon, though), but some amazing news: in the last two weeks I have put in about 18 hours in my new job as an intern at the art studio of Peter Gross, one of the creators behind the Vertigo comics book “Unwritten“!!! Anyway, I’m more excited and honored than I can even say, since I my portfolio was pretty unprofessional, with not a lot of real “comicky” content. On that note, I am extremely grateful and indebted to Danno Klonowski, Dan Olson, Ted Anderson, and Steve Stwalley for being agents of my recent artistic opportunities, which really fleshed out my portfolio. These dudes are awesome, and make me so excited to be a part of the Cartoonist Conspiracy. If you aren’t a part of one, you should be. Make your own cell today! But my greatest debt belongs to Clarence Thrun, who, though we never hang out and I never get to do anything cool for him, has name-dropped me all over the place and is the one actually talked to Mr. Gross and found out about the opportunity. In fact, if it wasn’t for Clarence, I would never have found out about Kevin and Zander Cannon, who connected me with the Cartoonist Conspiracy in the first place! And I guess I might as well send out the ultimate props in all this to my very own brother Benjamin, who introduced me to Clarence, and has always been one of my biggest fans and supporters. All these guys have played parts in making the last year one of the most exciting, entertaining, and motivating years in my whole life! What does the future hold? What goofy, cartoonish wonders lie over the horizon? Stay tuned to find out as I do!!! PS– coming up soon, I’ll write a run-down of what my duties at Peter’s studio actually include, and what it’s like to see comics made from the ground up. It’s crazy fun!